With the rising need for renewable and eco-friendly products, makers are centering on enhancing bio-based wax, for example, vegetable wax. Wax is chiefly utilized in industries, particularly for coatings. Wax is as well being utilized widely as additives, along with a base material to support processing. Working like a corrosion inhibitor, the wax is being majorly in the making of the metal products. Rising trend of candles is ensuing in the increase in the usage of wax by the organization making a range of candles in diverse shape, color, and size. Carrying special properties, for instance, hydrophobicity, malleability as well as its capability of solubility in organic nonpolar solvents is ensuing in the enhanced usage of wax in several industries, for instance, packaging, textile, coatings, paints, pharmaceuticals, etc. With the rising need for renewable and eco-friendly products, makers are centering on enhancing bio-based wax, for example, vegetable wax. In the meantime, the cosmetic sector is utilizing wax as well as a dynamic ingredient in skin care products, since it aids in diminishing dehydration as well as retains moisture for a longer period. Synthetic wax is also gaining traction and being used on a huge scale as a natural wax substitute since it is more durable. It is additionally being mainly utilized in the automotive industry since it demands less exertion to apply in addition to longer stays on a car, eradicating the demand for frequent application. Paraffin wax is potential to be one of the top-selling wax types in the worldwide wax market. It is anticipated to account for around US$ 3,800 million revenue towards 2026 end. Accessible at a more inexpensive price, paraffin wax is utilized on a huge level in candle producing, cosmetics, and packaging companies. Plastic & rubber is expected to be one of the biggest industries in the worldwide market for wax. This industry is anticipated to touch around US$ 2,500 Million revenue before the end of 2026 end. Due to the rising need for plastic material in the food and beverages industry, automotive industry and retail industry, the requirement of wax for several applications is as well increasing. Polyethylene wax that is formed by polymerization of ethylene, aids in enhancing product form. Makers are in addition coming up with novel procedures to make wax with desired properties. In contrast to the several wax applications, its application in candles will be the highest. Before the end of 2026, candles are anticipated to surpass US$ 4,500 Million in revenues. Candles of a range of shapes, colors, and sizes are being needed on a huge scale by individuals, particularly for home décor in North America and Europe all through the holiday season. 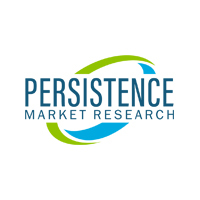 As per Persistence Market Research latest report indicates that the worldwide wax market is expected to foresee sluggish expansion by registering CAGR of 2.9% throughout the assessment period of 2017-2026. The worldwide wax market is moreover likely to gain US$ 11,017.7 Million revenue by 2026 end.